Have you been watching Hemlock Grove? I have. It's… er, it's trashy. And cheap. And kinda crap. And yet I'm still watching. It's quite a bit like Twilight, though with way more T&A and gratuitous blood and stupid acting. Well, okay, more or less the same amount of stupid acting. Perhaps a better description would be True Blood meets Twilight, but it's a much more male-oriented (?) show than that sounds like, so, hmm. Maybe throw some American Horror Story in there. Hostel and Cabin Fever director Eli Roth is the executive producer, if that puts things into any kind of perspective. At any rate, it's the latest in Netflix's campaign to become a source of original television programming. Like House of Cards before it, if you've got Netflix streaming, you can watch the entire first season right now. I've watched the first four episodes, and while it's not what I'd call a "good" show, it has enough cheap thrills and good-looking actors that I'm hanging in there. 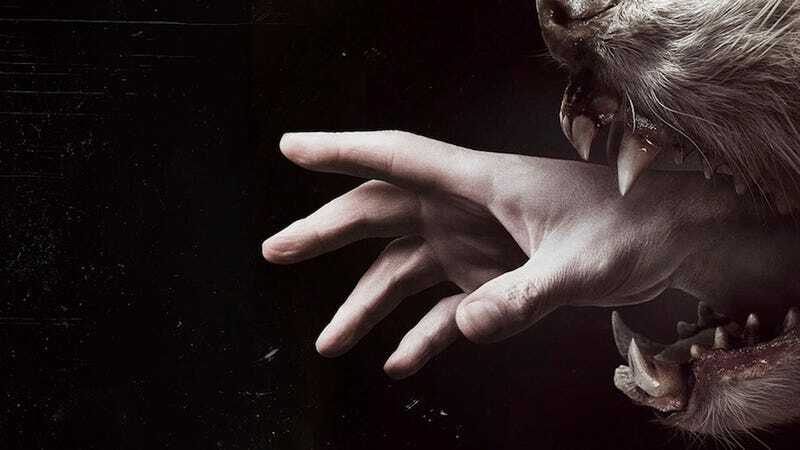 Hemlock Grove shares American Horror Story's woeful cynicism and soullessness; it's a hodgepodge of "supernatural teen" and horror tropes all mixed together into a decidedly R-rated stew. (It's based on Brian McGreevy's novel of the same name, which several people have told me is actually pretty good.) There's the new kid, who may or may not be a werewolf. There's the rich loner, whose MILFy mom may or may not be a vampire but is certainly played by Famke Janssen. There's the shady local biotech plant, the curious dark-haired girl next door, and of course, there's the attractive teenaged young woman, brutally murdered in the opening moments of the show. It all kind of blends together into a mix of cigarette smoke, blood, naked people, debauchery and brooding that would be tiresome, except… except… well, except that it's still pretty fun to watch. I'm curious if anyone else out there is watching. What do you think? Worth sticking with it? (I'm pretty much in to the end, at this point.) I really like the idea of releasing TV seasons all at once like this, though just like with some games, I also sometimes like when things are spaced out. But just sort of broadly: What do you guys think of Hemlock Grove?